This shirt is from Threadless, designed by someone named Faun Fruits. According to the label, which Threadless prints directly on the inside of the shirt, there is supposed to be a race track which this brilliant animal is coursing down. 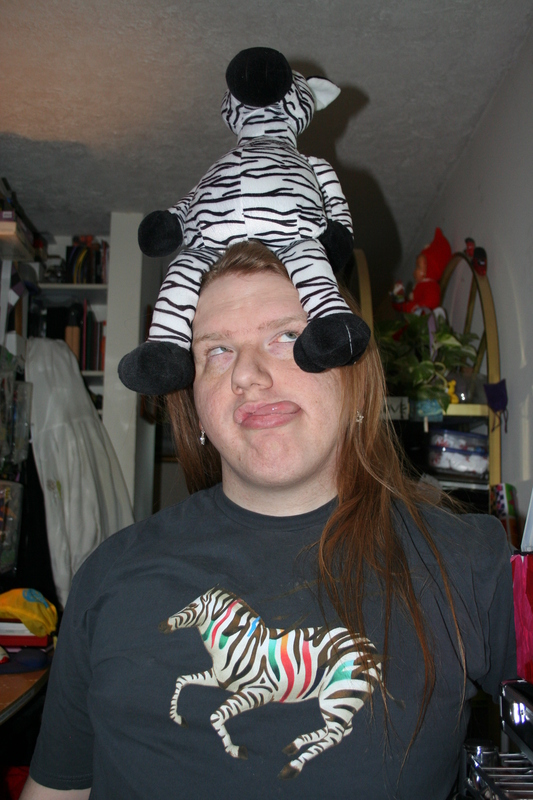 We love zebras, we really do.